The Sennheiser XS Wireless 2-835 is an easy-to-use all-in-one handheld mic set. Even though it's a breeze to use, a plethora of useful options are available via the XSW 2-835's LCD display. True diversity and 12 compatible channels ensure smooth operation, even under tough live stage conditions. And setup is a snap, thanks to automatic frequency management and remote synchronization. 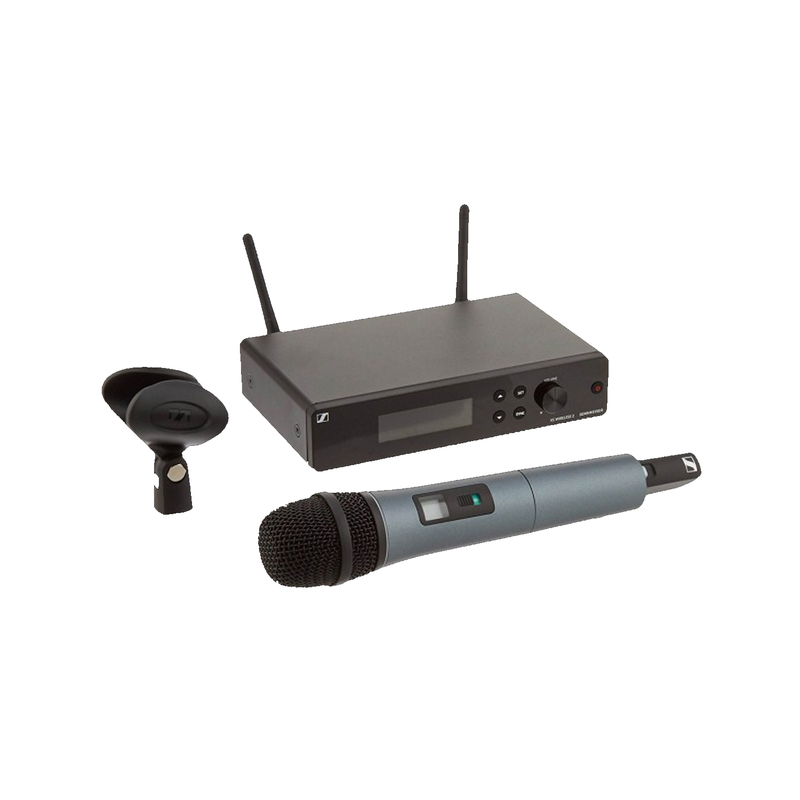 This set includes a handheld transmitter with Sennheiser's popular e835 capsule - famous for its warm, smooth sound, excellent feedback rejection, and superior SPL handling. The receiver's metal housing and the handheld transmitter's sweat-resistant design make the XSW 2-835 a durable, gig-ready wireless system.